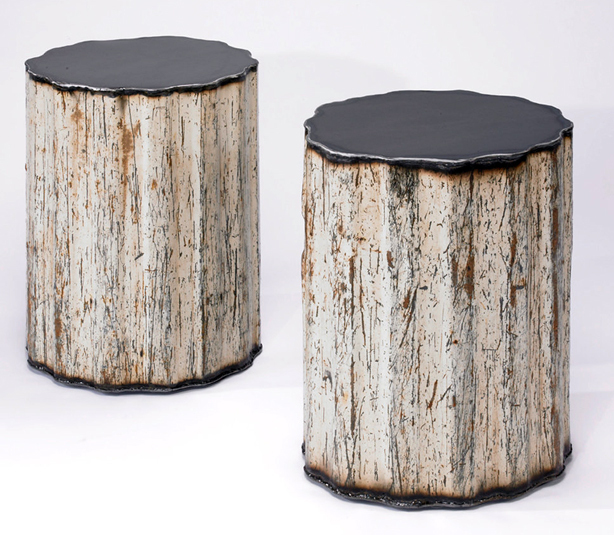 From their rural Pennsylvania hilltop farm, the Gatski family gives new meaning to the term “farm-to-table.” They make tables from reclaimed farm materials. 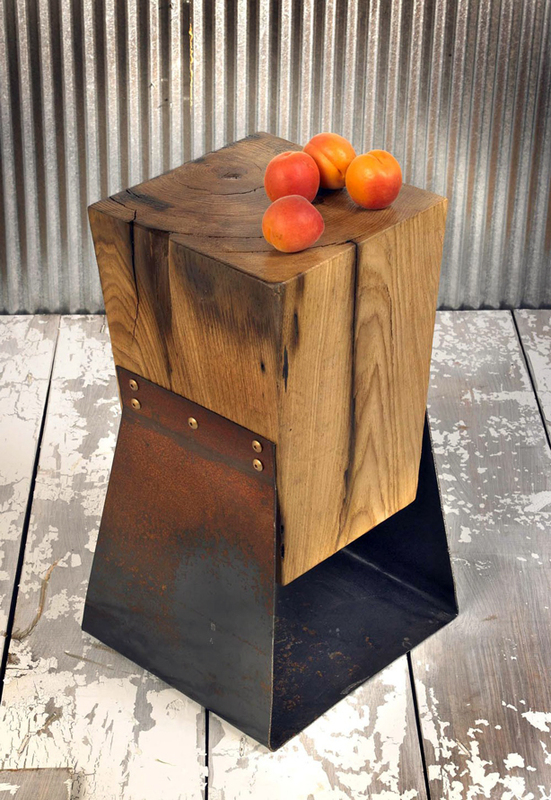 Ben Gatski, a welder and farmer, and his wife Kate, collaborate in the design and fabrication of handmade eco friendly indoor and outdoor furniture and home decor. Drawing inspiration from the farm, everything from their business, The Steel Fork, is about as locally-produced as possible–all made by the couple on their farm. The Gatskis let nothing go to waste as they create sculptural-like pieces using reclaimed farm machinery like old tractor and hay baler parts, barn planks, and even pieces from their old pick-up truck. 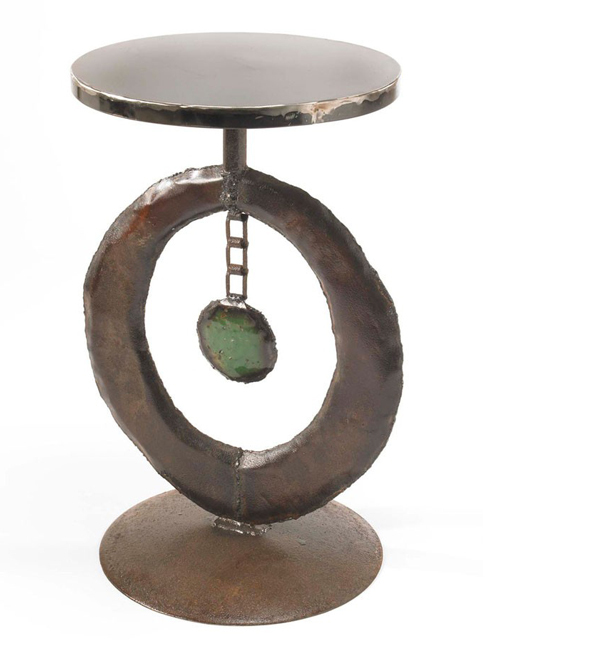 The Circle Table, above, made with recycled farm machinery, includes a flat metal base that was hand hammered and welding it together. The circle shape was cut out, hammered into shape, then hung with a recycled piece of chain from a harvesting machine. 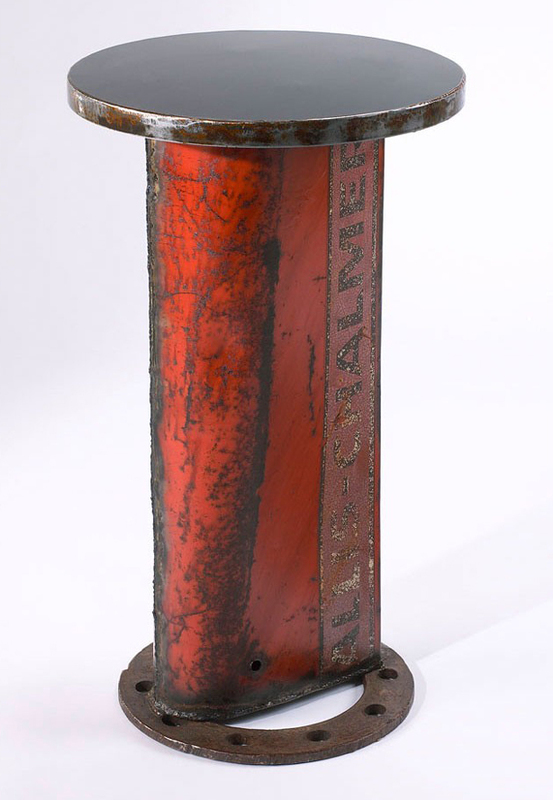 A pair of tables, above, utilized metal from the bed of the Gatski’s old pick up truck which they once used to haul metal from farmers and dealers across Pennsylvania. 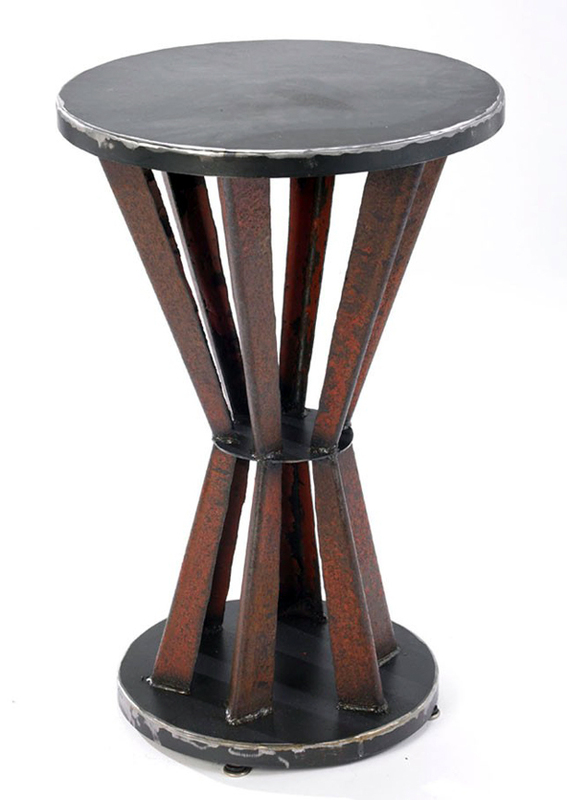 The tops are fashioned from a new piece of American-made ten gauge steel. 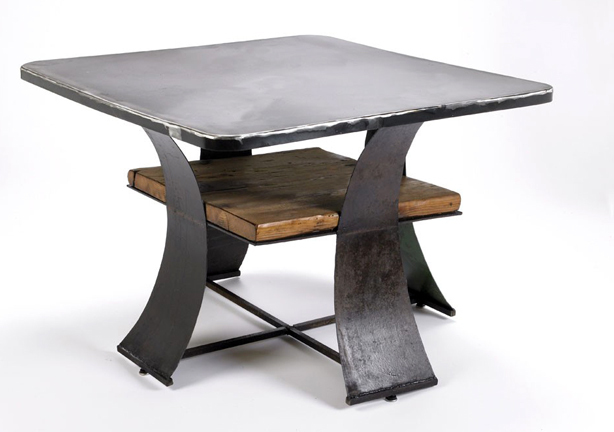 The table, above, was made from recycled farm steel and reclaimed barn planks from a Pennsylvania barn before it was demolished, while the one below heralds from the two recycled side panels of an Allis Chalmers tractor. It’s truly a family affair as the Gatski extended family are all involved in the operation. Their brother-in-law is a woodworker who helps the couple integrate reclaimed wood into their designs, while Kate’s mother provides inspiration from her 30+ years as a full-time crafter, and even the couple’s three children contribute by sketching out new designs. The Gatskis believe in what the French call “Le Gout du Terroir” or “A Taste of Place” and The Steel Fork is, they say, a “celebration of terroir in all things.” In the past, Ben owned a a small organic dairy business and Kate organized educational events for farmers. Their passion for things from the earth continues as a portion of some of their sales goes to sustainable agriculture organizations.